A day we were really hoping would never happen in our house. Cooper’s first broken bone. 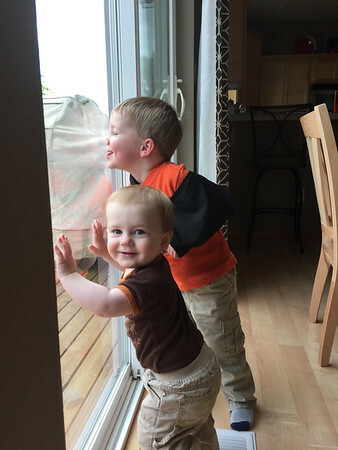 As he tells the story “I was trying to tackle Mama.” We were sitting on the floor of his bedroom doing our normal getting dressed routine which includes some falling over hugs/tackles. 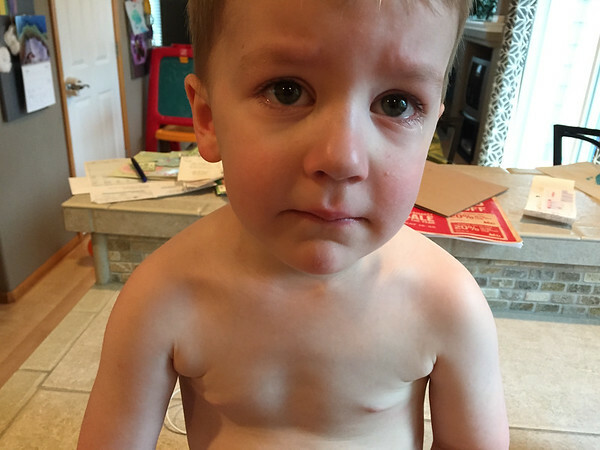 This morning that hug/tackle resulted in Cooper landing perfectly wrong on his left shoulder. I am at a loss for words; it was on the softest flooring in our house, he fell 2′ at most since I was sitting when it happened and we have done it so many times before. 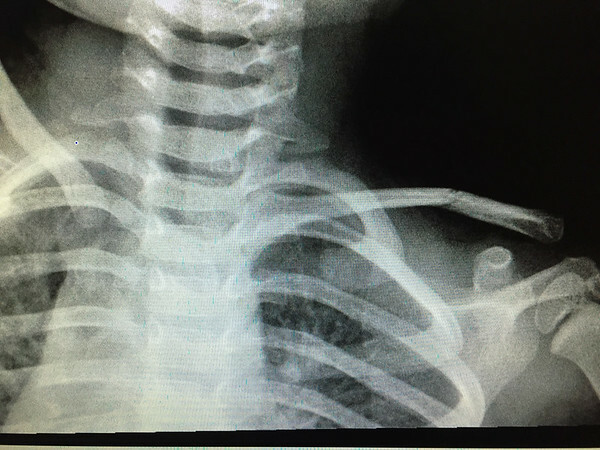 An x-ray confirmed a “buckled” broken left collarbone. Luckily Daddy had driven to work that day and was able to come home quickly and meet us at the doctor’s office. Carrying both kids was challenging, not impossible, but it was so nice to have a 1:1 ratio for Cooper when he got there. Within a few hours Cooper was in really good spirits again. We were given an x-small sling for him to wear for 2 weeks. A highlight of the day was when he saw his reflection in the window and said “I have a purse” with a huge smile. This kid loves purses and is thrilled that his sling looks like a purse. 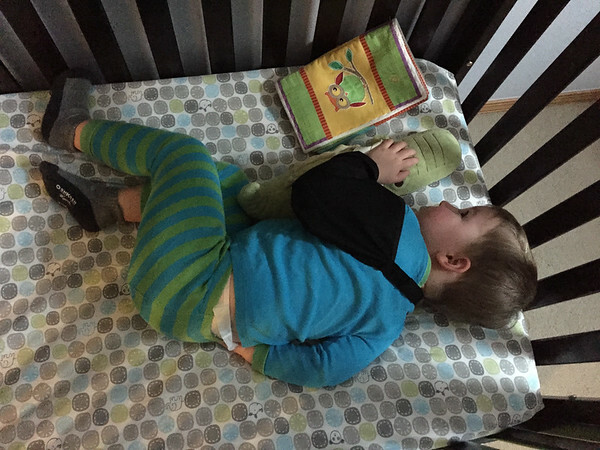 For naps and night time Cooper used his alligator to help support his arm. It took a couple of days for him to really learn what movements would hurt him, but he seemed to adjust very quickly.